Camille recently left an award-winning real estate career in San Antonio to become a full-time writer. Along with her husband of 21 years, she home schools their four children. She has a bucket list that is never-ending, and uses her adventures to inspire her writing. She's lived in Texas, Colorado, Pennsylvania, Virginia, and California, and spends enough time in Hawai'i to feel like a local. She's traveled to four continents (so far), and met Mother Teresa and Pope John Paul II. She just about fainted when she had a chance to meet her musical idol, Paul McCartney, too. Camille studied political science in college, but found working on actual campaigns much more fun. She overdoses on goodies at farmers markets (justifying them by her support for local bakeries), and belts out Broadway tunes whenever the moment strikes. There's almost nothing she wouldn't try, so long as it does't involve heights, roller skates, or anything illegal. 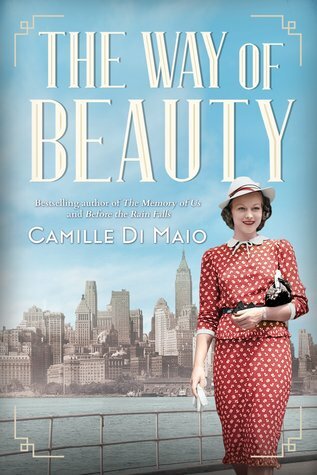 "The Memory of Us" is Camille's debut novel, her second book "Before the Rain Falls" released in 2017, and her third, "The Way of Beauty", came out in 2018. Her next book, "The Beautiful Strangers" will be available spring 2019.